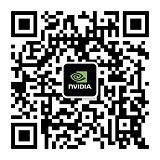 帕斯卡架构的深度学习超级计算机DGX-1 - 新闻资讯 - NVIDIA 官方 Developer 论坛 - Powered by Discuz! Data scientists and artificial intelligence (AI) researchers require accuracy, simplicity, and speed for deep learning success. Faster training and iteration ultimately means faster innovation and faster time to market. The NVIDIA® DGX-1™ is the world's first purpose-built system for deep learning with fully integrated hardware and software that can be deployed quickly and easily. Its revolutionary performance significantly accelerates training time, making the NVIDIA DGX-1 the world's first deep learning supercomputer in a box.